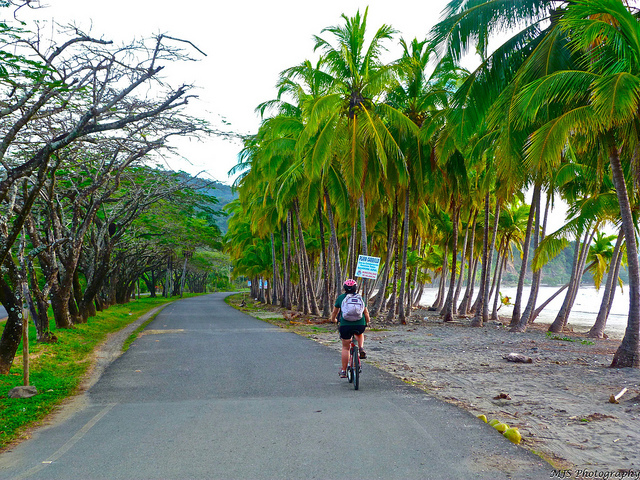 A bike ride in Costa Rica, by Marissa Strniste. Photo from Flickr and published under a Creative Commons licence. There was no scarcity of stories from the Latin American region in 2014. Amongst all the important news items followed by our readers of citizen media, the one which had the most impact was probably the news that the United States and Cuba had put an end to their cold war; a historic rapprochement after which nothing will be the same. Reactions to this were forthcoming from the continent, especially in Venezuela, a country which during the Chavista government had strengthened communication with Cuba, the biggest country in the Caribbean, and whose anti-imperialist discourse was first questioned in a humorous manner and then with hard criticism following the announcement. For many, this makes the independent positions of the two countries clearer, for others it means that Venezuela is losing influence. The football World Cup in Brazil exploded into the sporting event of the year and for the first time a European team, Germany, snatched the title from a Latin American team, Argentina. At the same time, many jumped on the opportunity during the event to denounce the economic and social problems in South America's largest country. In Mexico, we've followed the disappearance of 43 education students from a rural school, who were reportedly ambushed by police from the town of Iguala. The tragedy has provoked numerous demonstrations in Mexico and elsewhere against the government of President Enrique Peña Nieto. Global Voices dedicated a special coverage page to these stories, which were described on social media as the #Ayotzinapa case. This year, Venezuela also experienced unrest after insecurity in the country led to numerous protests in various Venezuelan cities, eventually spreading to the capital, Caracas. Conversations online followed how a sector of the political opposition capitalised on these protests under the hashtag #lasalida (the exit) as well as the consequences of clashes with police — the street protests resulted in more than 40 dead, the arrests of hundreds of students and civilians, who were later harassed in custody. In addition, the leader of the opposition ended up behind bars. Towards the end of the year, we lost the brilliant Mexican comedian Roberto Gómez Bolaños, better known as Chespirito, whose characters were known by generations of adults and children throughout Latin America. Gabriel García Márquez, the Colombian writer and Nobel prize winner for literature, also left us in addition to the Venezuelan singer and composer Simón Díaz and the singer-songwriter Gustavo Cerati. To the rest of the world, they were seen as cultural icons. Other figures who left us include Huber Matos, an ex-revolutionary major in Cuba who later distanced himself from Fidel Castro; Peruvian playwright Sara Joffré; Argentinian sports manager Julio Grondona; Mexican poet José Emilio Pacheco; Cuban musician Santiago Feliú; Uruguayan artist Carlos Páez Vilaró, Dominican fashion designer Oscar de la Renta; and Uruguayan actress China Zorilla. In Nicaragua, a report about the construction of an inter-ocean canal project caused controversy, and hundreds of Central-American children arriving in the United States without parents raised alarms about a phenomenon which, although previously known about, had not been sufficiently dealt with. And if this doesn't seem like a lot, five Latin American countries went to the polls to elect presidents: Colombia, Uruguay, Brazil, Panama and Chile. All were re-elected except Uruguay's Tabaré Vázquez, who had in any case occupied this post before, and Panama's Juan Carlos Varela Rodríguez, who had previously served as vice-president. 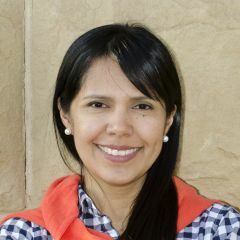 Peru was the seat of the COP20, the conference of the United Nations Framework Convention on Climate Change and also the centre of a controversy following accusations suggesting Greenpeace had caused damage to the thousand-year-old Nazca lines as part of one of their protests. As for the stories which moved us most, that of Arturo the bear stood out; a polar bear in Argentina held in poor conditions in captivity and whose cause rallied support from many people. From Costa Rica, Solentiname told her story of having breast cancer, from the time it was detected, up until her double mastectomy. With a combination of fine humour and simple language she shared her impressions, fears frustrations and moments of sorrow and happiness. These stories and many more were told by our collaborators and translated by our volunteers at Global Voices so that the whole world could take a much closer look at our region and understand it through stories told on citizen media, offering a wide range of views from across the region.